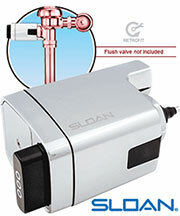 Sloan Valve G2 Optima Plus, the industry's most advanced battery-operated automatic Flushometer with a high-tech look and solid steel construction. Great for high abuse situations. 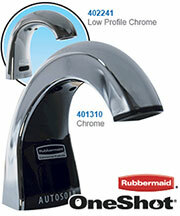 valves to automatic, or as a complete flush valve assembly. The G2 Optima Plus retrofit turns any exposed manual Flushometer into advanced, state-of-the-art electronics for outstanding performance in the restroom. 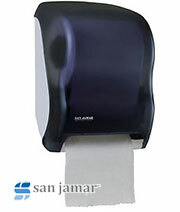 Sloan introduced the concept of "no-hands" electronics in the restroom with its Optima line of flushometers, faucets, and hand dryers. 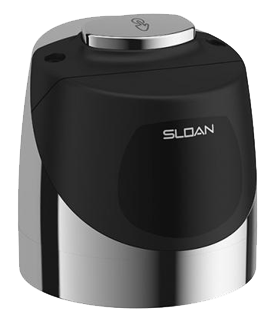 Now it takes another step forward with the introduction of G2 Optima Plus Flushometers — a battery powered, retrofit valve that installs in minutes on existing Sloan Royals Flushometers. An Optima+ Flushometer will turn your manual Royal flushometer into an automatic, sensor-operated flushing system — and without the need for AC hookups. It is completely self-contained, and uses just four AA Duracell batteries to provide at least three years of operation under normal use.